The Infinity Project is a new initiative created as a funnel to promote the development of youth offshore sailing in the US. The team has been using the Foundation Class 40, First Light. 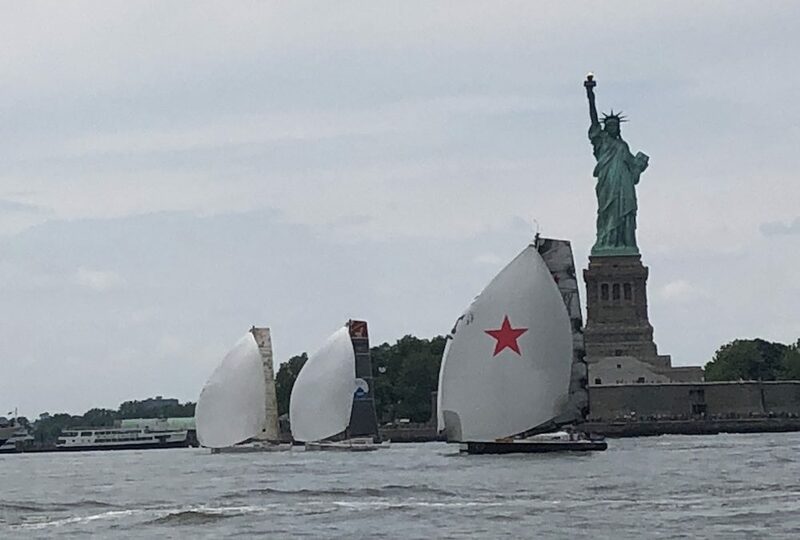 The team competed in the Atlantic Cup from May 26-June 10 in a 3-part series with five sailor including Skipper Sam Fitzgerald, Kay Wang and Leandro Spina from the US Olympic Development Program. They completed the first leg from Charleston to New York in 4th place among the eleven competitors. The second leg from New York to Portland was not met with good of fortune. In rough conditions, they ripped their sails and divert to Newport, withdrawing from the race. Not to rest on their laurels, First Light also competed in the Newport to Bermuda Race providing valuable hours in offshore racing. The delivery back proved to be a great training opportunity for these young sailors new to the offshore experience. Stay updated on our Facebook page too!